Summer of 2012, I managed Fashion Empowering Women’s Build a Backpack Campaign. We raised funds and collected supplies to give over 600 backpacks filled with supplies to youth! We partnered with local schools and nonprofits to give the backpacks to kids in need. In January 2013, I served as the Book Coordinator for Capital Cause’s Yes We Can Service Project. This was a partnership with DC Public Schools. As Capital Administrator of Capital Cause, I manage the organization’s Capital Giving Circles Projects. Capital Cause hosts an Annual Changemakers Reception honor young philanthropists. Capital Cause gives monetary grants throughout the year to nonprofits serving the DC Metropolitan Area. First Book-DC provides books to classrooms serving at least 70% of children in poverty of Title 1 schools. I currently serve on the board for some great non-profits. Check them out below! I first became introduced to First Book when I lived in New Orleans. I joined the board and saw that the organization really made a difference by helping educators buy class sets of books that they could use to instruct literacy. One aspect of First Book that I love is that the students get to take their First Book books home once the teacher finishes the lesson. After moving to DC, I found out that the DC board was no longer active. I was charged with re-establishing the board. The First Book-DC board became official in August 2011. First Book-Washington, DC provides new books to children through eligible community organizations like preschools, day care, after-school, and tutoring/mentoring programs. We accept book grant applications from local literacy programs that serve 80% or more children from low-income households. The children take home and keep the books that they receive. You can make a tax-deductible donation to First Book-DC by clicking here. 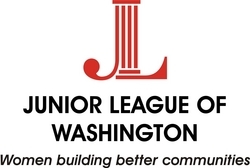 The Junior League of Washington (JLW) is an organization of women committed to promoting voluntarism, developing the potential of women, and improving communities through the effective action and leadership of trained volunteers. Its purpose is exclusively educational and charitable. The Targeted Grants and Volunteer Resources Committee evaluates applications and makes recommendations for JLW Targeted Grants given to community organizations. Committee members promote the availability of JLW grants and how the grant cycle works through outreach efforts to the community. We also review grant applications, conduct site visits with community organizations, and ultimately recommend to the JLW board and membership which literacy-focused organizations to fund. 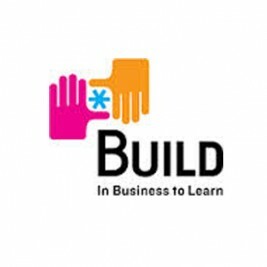 BUILD is dedicated to proving the power of learning through entrepreneurship-based, experiential learning, BUILD ignites the potential of youth in under-resourced communities and equips them for high school, college, and career success.